As the Internet permeates the workplace/schools, it introduces a range of problems along with the many benefits. Unproductive or personal browsing by employees/students, the threat of downloading and infecting the enterprise network with viruses and bandwidth hogging are just a few of the endless challenges. BrowseControl is an easy to use Internet management program that restricts inappropriate surfing and enforces Internet usage policies across your enterprise. 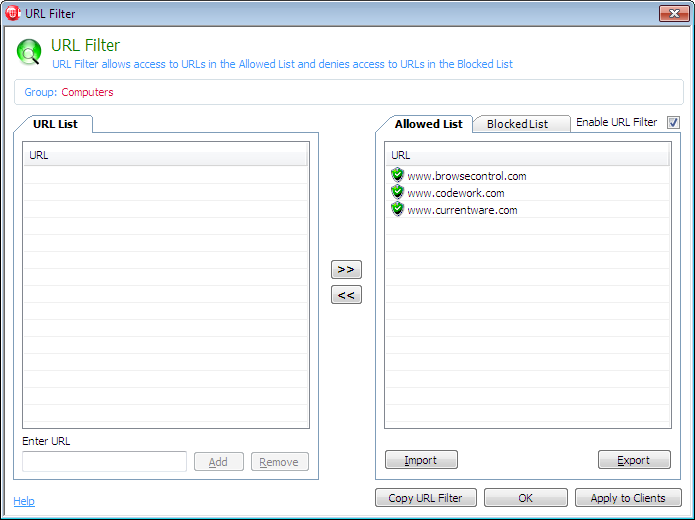 BrowseControl can completely block the Internet, allow access to authorized web sites, block offensive sites, schedule access to the Internet during specific times of the day/week - all conveniently from a central console. 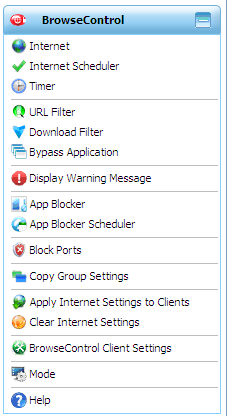 In addition to restricting Internet activity BrowseControl includes an Application Blocker, which restricts users from running unauthorized programs such as games, messaging programs, P2P applications etc.. BrowseControl is a simple solution to a serious problem. Remarkably easy to install and configure. 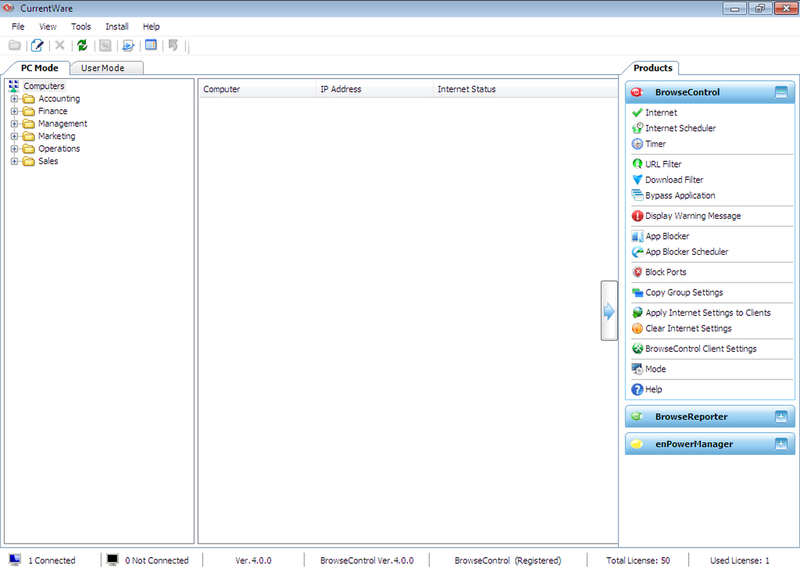 Restrict Internet From the Console, you can enable and disable Internet access instantly. 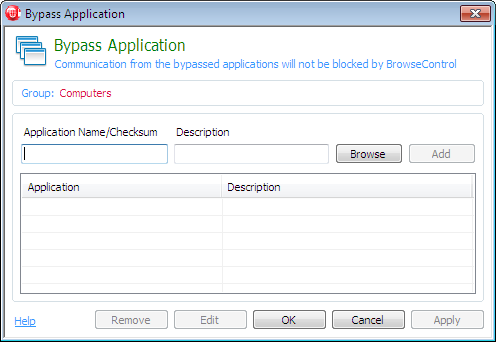 BrowseControl can be configured to deny Internet access by workstation or by user. 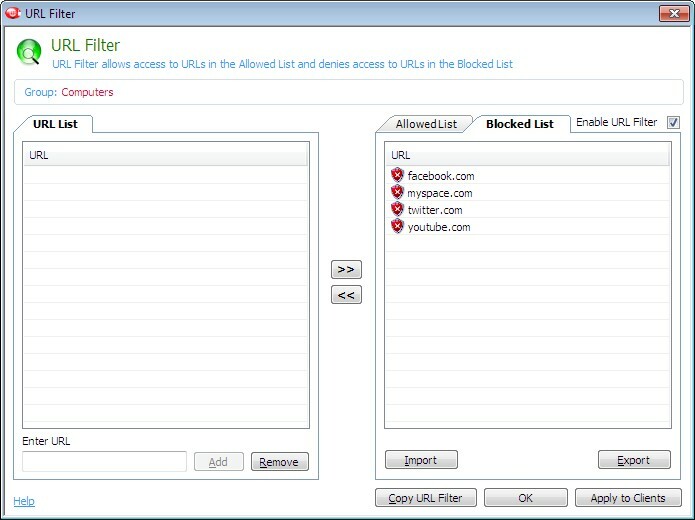 Allow or Block Websites Filter Internet access to company/school specific sites only. Through the Allowed List, users have access to authorized sites only, while browsing of other sites is totally denied. 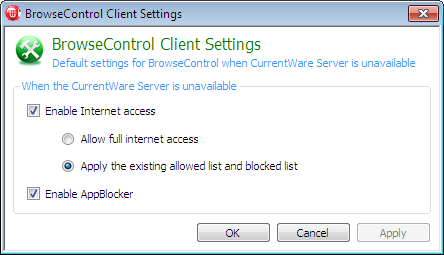 Or, you can allow browsing of all sites, except for those listed under the Blocked List. URL Category Filtering Control the Internet access of your employees or students with the comprehensive pre-defined URL category database. Covering more than 100 URL categories, administrators can easily block objectionable web sites through a diverse range of categories. 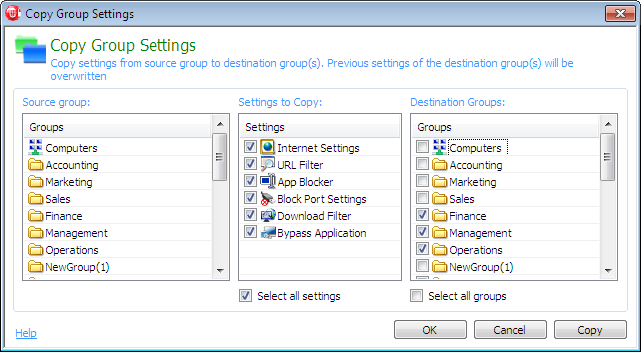 Computer or User Based Control Internet restriction policies can be configured by user or by workstation. 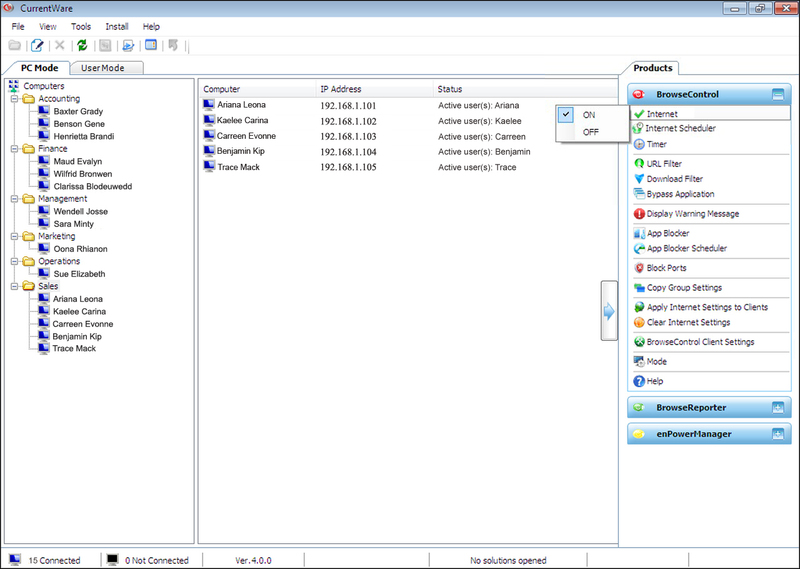 Configuration by user ensures that no matter which computer the user logs onto, their Internet permission policies will be carried with their user login. Management by computer, enforces the same Internet access policies to all users that login to that workstation. 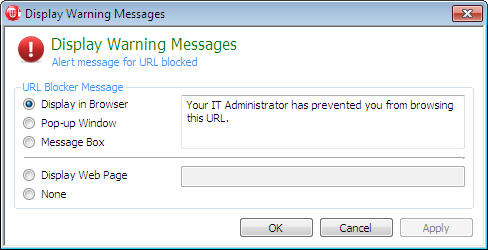 Improve employee/student productivity by totally blocking or filtering web access. 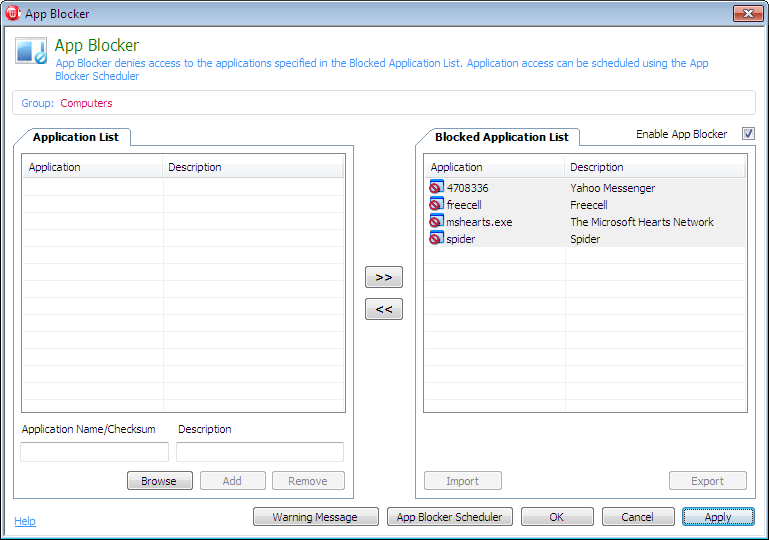 Through the App Blocker, eliminate unnecessary use of "time-wasting" applications such as instant messaging programs, games etc. 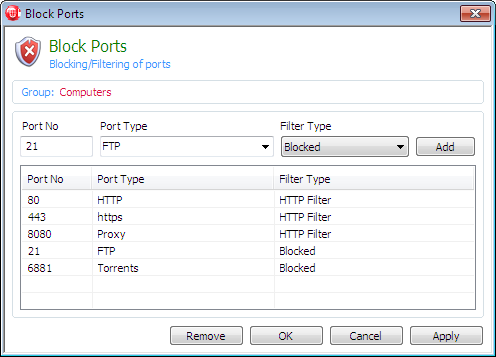 Allow or block websites on an ad hoc basis through the Timer. 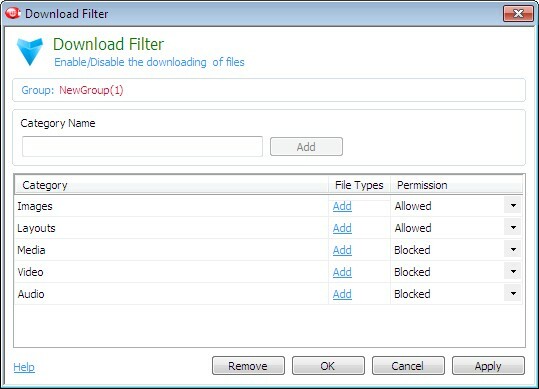 Prevent the download of specific file types (audio, video, executable files) to reduce the chance of malicious infection on your network. Deploy and manage all policies from a central console. Or install multiple consoles across the enterprise to allow individual managers/teachers to control the policies of their respective employees/students.